Caption - The South African Railways 2 foot gauge line from Port Elizabeth to Avontuur was the longest line of this gauge in South Africa at 177 miles (285 km). 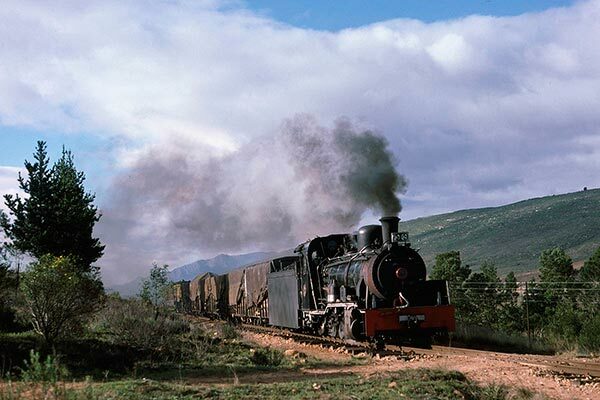 In latter years steam only worked the top section and here we see NG15 class 2-8-2 122 with an Avontuur to Joubertina freight. Image taken on 20th June 1978.